Save the Date! Cancel the Inauguration! 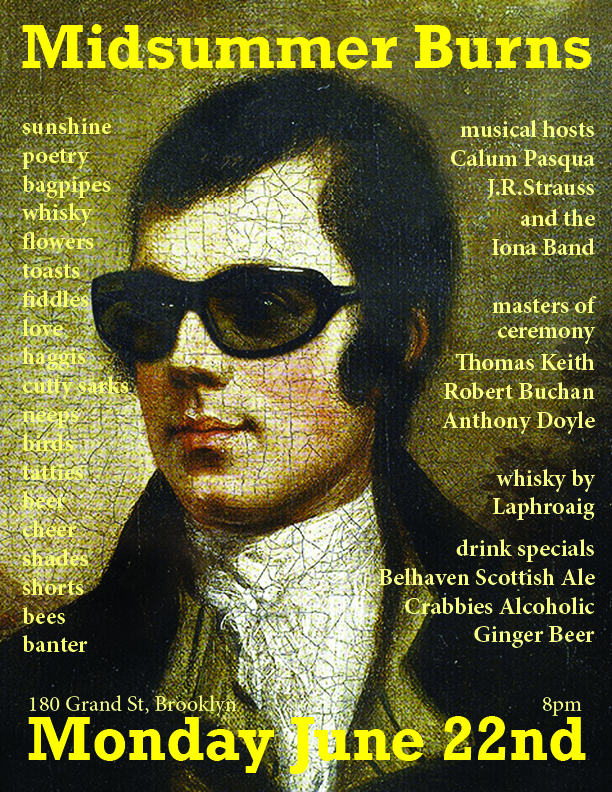 The IONA BURNS NIGHT returns in all it’s shaggy glory next Wednesday 25th January at 9pm. Fiddler Emerald Rae and piper Andrew Forbes will unleash the musical beasts. 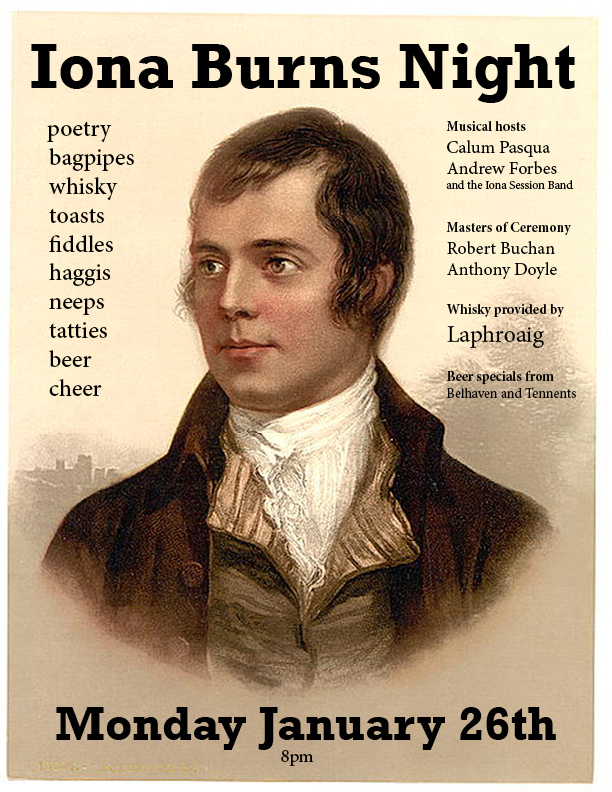 Poetry, comedy, haggis and cheap adult beverages will flow. JR Strauss, Max Carmichael, Amy Lynn, Calum Michael, Matt Diaz, Pamela Jean Agaloos, Miguel Coias and Karen Brown in the house. Crying and screaming permitted. Also dancing and laughing. Due to the city’s roads being closed tonight and the subway system limited because of the storm, we are re-scheduling the Iona Burns Night for next Monday February 2nd. Iona Burns Night – Monday January 26th – Poetry, whisky, live music, haggis and cheer! Come celebrate the life and work of the Immortal Bard of Scotland, Robert Burns . Join us for the annual Iona Burns night, on the regular session night of Monday 26th January. Live Scottish pipes and fiddle music led by Glenfiddich Scottish Champion fiddler Calum Pasqua and piper extraordinaire, Andrew Forbes, poetry readings, whisky toasts courtesy of Laphroaig single malt and their whisky master Anthony Doyle, Belhaven and Tennent’s beer specials and some spectacular tasty Haggis flown in from Scotland : from 8pm.